The Super 8 in Columbia is located off of I-70, Exit 131 between St. Louis and Kansas City. The Super 8 in Columbia is just minutes to the University of Missouri. Other attractions include Katy Trails, MKT Trails, The Vineyard's, Hazel Kinder's Lighthouse Theater, Columbia Civic Orchestra, Columbia Entertainment Company and the Isle of Capri Casino in Booneville. 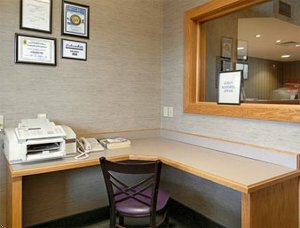 The Super 8 in Columbia offers Wireless and Wired High Speed Internet, Elevator, Pride of Super 8 Rating, Free Parking RV/Truck/Bus, and Superstart Breakfast with Waffles.